After taking on the ethereal Daisy Buchanan in The Great Gatsby, Carey Mulligan will soon play a less fragile but equally desired literary heroine in a new adaptation of Thomas Hardy’s classic 1874 novel, “Far From the Madding Crowd.” Mulligan has been cast as Bathsheba Everdene, the beautiful and headstrong young farm girl who is pursued by three different suitors—the humble fellow farmer Gabriel Oak, the wealthy dullard William Boldwood, and the dashing, womanizing Sergeant Francis Troy. 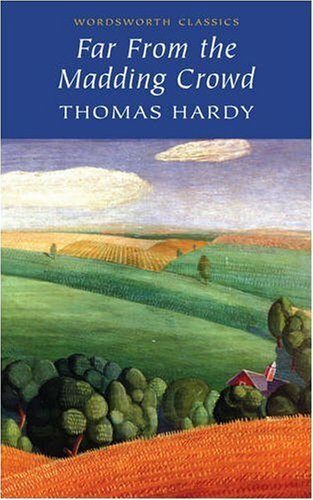 It’s easy to imagine where this “love square” might lead us, but Hardy expertly crafts a tale that’s rich in character and place. His Bathsheba is vividly drawn, a strong and resourceful woman who learns to run a farm on her own, only to risk losing her independence to the men who love her. She’s a literal ancestor to the self-reliant female protagonist of today. “The Hunger Games” author Suzanne Collins acknowledges that her Katniss Everdeen, no delicate flower, takes her name from Hardy’s heroine. The film will be directed by Thomas Vinterberg (The Hunt) with a script by David Nicholls. Chances are good that they’ll keep the mid-19th Century pastoral setting—Nicholls has written period adaptations of both “Great Expectations” and Hardy’s own “Tess of the D’Urbervilles.” Belgian actor Matthais Schoenaerts will play Oak and English actor Tom Sturridge signed on to play Troy. This will be the second adaptation of “Far From the Madding Crowd,” the first being the 1967 version starring Julie Christie and Terrence Stamp.